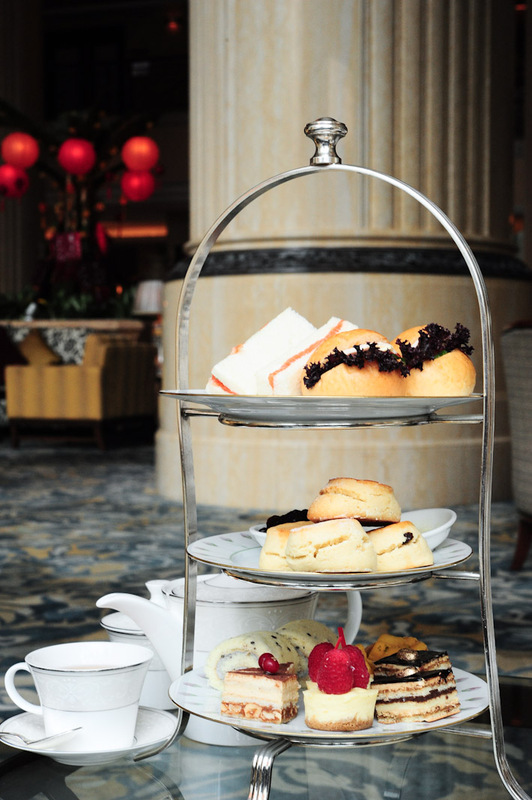 When it comes to afternoon tea, the de facto meeting place for many people is Shangri-La Hotel’s Lobby Court. 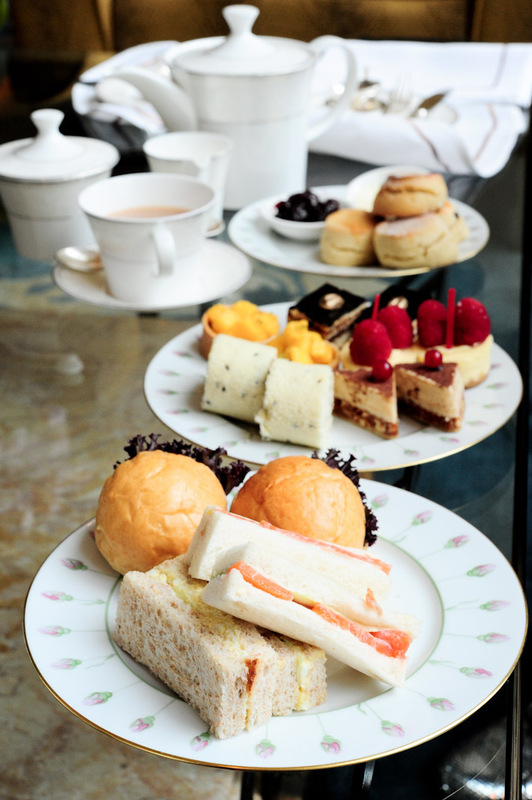 It offers the traditional English Afternoon Tea ($34++/pax on weekdays, $36++/pax on weekends) – which comes with finger sandwiches, scones, and cakes. If you are looking for somewhere to spend a quiet afternoon, I can’t think of a better place than Shangri-La’s Lobby Court. Just look at those beauties. Delicate finger sandwiches, beautiful cakes and pastries. They are the perfect companions when you are catching up with a friend over tea. 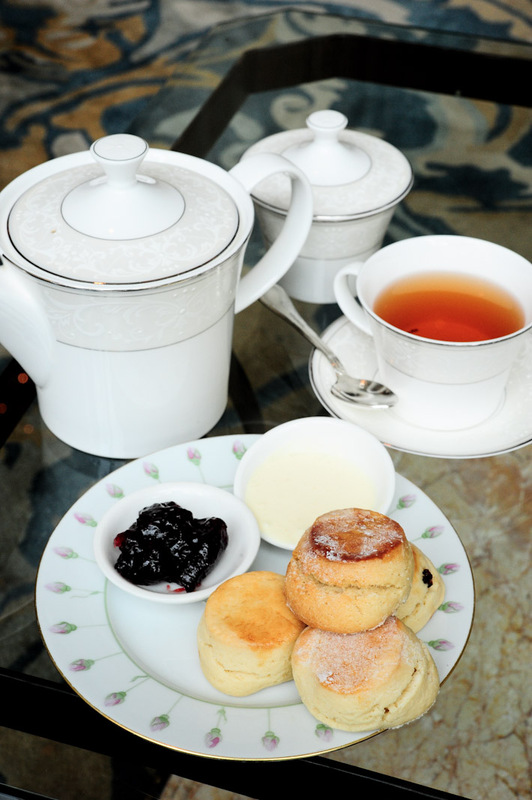 The scones – with a gorgeous golden crust – are also one of the best that I’ve had in town. When you take a bite, it leaves crumbs all over the table top. It is good on its own, but even better when slathered with jam and clotted cream. 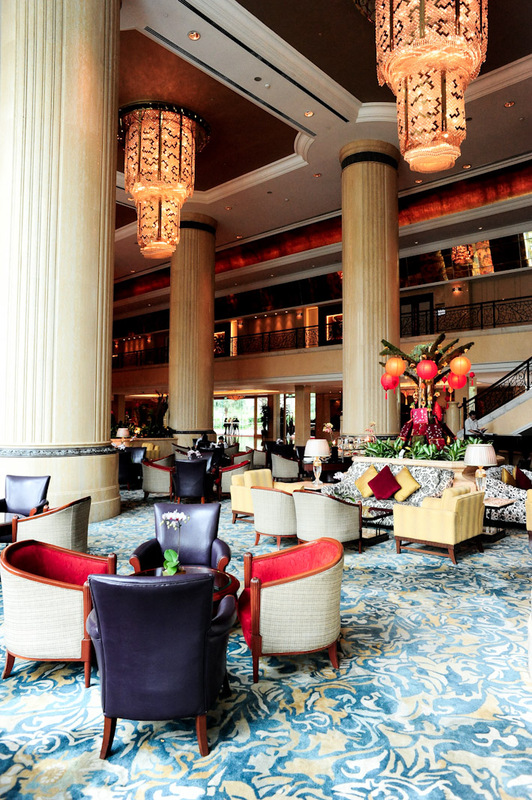 To me, Shangri-La Hotel’s lobby court is one of the top 5 afternoon high tea places in Singapore. Come here to enjoy an elegant afternoon over lavish teas. Alternatively, The Rose Veranda at Shangri-La’s Mezzanine Level has an international high tea buffet ($42++/pax). It is available from 11.30am to 6pm on weekdays, and there are two seating on weekends – 11.30am – 2.30pm, 3pm – 6pm.